A performer whose 'authority demands total commitment from the listener', internationally acclaimed Australian organist CHRISTOPHER WRENCH is equally at home as solo artist, liturgical musician, continuo player, duo partner and pegagogue. 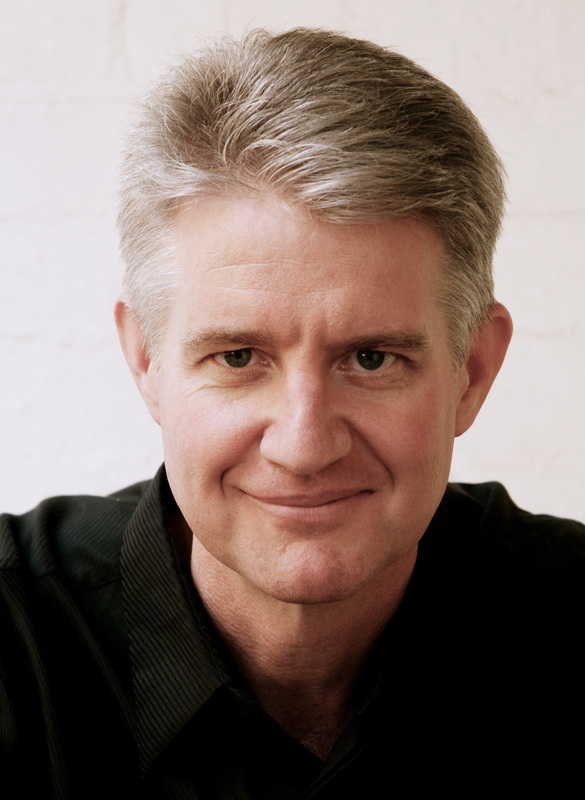 As one of Australia's most respected organists, Christopher Wrench has performed at numerous festivals, including the Melbourne International Festival of Organ & Harpsichord, the Sydney Festival, Brisbane Baroque, the Brisbane Festival, the New England Bach Festival and, Organs of the Ballarat Goldfields, and Mofo; and as concerto soloist with the Adelaide Chamber Orchestra, the Australian Chamber Orchestra, the Canberra Symphony Orchestra, the Camerata of St John’s, the Queensland Symphony Orchestra, the Queensland Youth Symphony Orchestra, and local community orchestras. Annual international tours have taken Christopher Wrench to Austria (incl. Augustinerkirche, Vienna and St Stephens Cathedral, Vienna), Canada, Czech Republic, Denmark, England (incl. Bournemouth Festival, King's College Cambridge & Westminster Abbey), Germany, Hong Kong, Italy, New Zealand, Norway and Sweden. Christopher Wrench's 2009 recording of Bach’s Six Organ Sonatas at the Garnisons Kirke, Copenhagen received rave reviews from around the globe. In 2014 Christopher Wrench was one of ‘five organists from five continents’ invited to perform at the Silbermann 300th Anniversary Gala concert in Freiberg Cathedral, Saxony. Born in Brisbane, Christopher Wrench gave his solo organ debut at St John’s Cathedral in 1977, prior to undergraduate studies at the Queensland Conservatorium, where he majored in piano with the legendary Nancy Weir. Prestigious scholarships, including the 1982 Robert-Stolz-Award (an Australia-wide competition for all instruments), enabled post-graduate organ study at the Vienna Conservatorium (Leopold Marksteiner) and the Vienna University of Music (Michael Radulescu). In 1983 Christopher Wrench gave European debut performances at the Vienna Konzerthaus (Poulenc Organ Concerto) at St Stephen’s Cathedral. Subsequent prize-winning performances at international competitions in Melbourne (1st Prize, 1985), Bruges, Calgary (European Finalist), Dublin (2nd Prize 1988 & 1990), St Alban’s (Audience Prize, 1989) and Odense (1st Prize, 1992) established Wrench's reputation as an artist of international renown. Christopher Wrench was Organist & Choirmaster at Christ Church Anglican Church, Vienna (1986-1990) before returning to Brisbane in 1991 to teach at the Queensland Conservatorium. In high demand as soloist, choral accompanist and ensemble partner; Christopher Wrench performs as (casual) principal organist and continuo player with the Queensland Symphony Orchestra, the Badinerie Players and the Camerata of St John’s. In addition to concert and church music activities, Christopher Wrench is an passionate and gifted pedagogue. Wrench has adjudicated at the Sydney Organ Competition, the Odense International Organ Competition and the Calgary International Organ Festival, and has made numerous broadcasts on ABC Classic FM and MBS networks in Adelaide, Brisbane, Melbourne & Sydney. Christopher Wrench commands a solo repertoire spanning six centuries, including the complete organ works of J.S.Bach, Buxtehude, Duruflé, Franck, Hindemith, Mendelssohn and Mozart. Christopher Wrench was appointed Director of Music at Christ Church St Lucia in 2013, following a period of 18 years as Organist/Music Director at St Mary's Anglican Church, Kangaroo Point. He is also a member of the Brisbane City Council 'Willis Organ Advisory Committee' and curator of the 'All Stops Out' Organ Series for Brisbane Baroque 2016. In 2017 Christopher Wrench was appointed Senior Tutor at the ACT Organ School in Canberra, where he travels weekly to mentor young organists.